Planes. Not the flying ones. 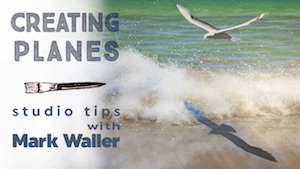 This month enjoy this quick clip with some great advice on how to bring more depth and realism to your paintings by creating planes. More on planes. When you’re trying to create the illusion of dimension in a painting - look for the planes, then look at the colour shifts within the planes that create the illusion of the plane receding away from you or coming towards you. Eg. In the ocean, more sky colours reflected in the surface of the water, or in landscapes, adding more blue (or whatever predominant colour the sky is) to objects further away. Dickie shares his struggles with his new studio build and the state of American politics. As you do. Paint Recipe Books - Coming Soon! Due to an overwhelming response last month with our hand painted Studio Companions, we are in the process of printing a robust, in-studio reference guid, a paint recipe “manual”. Beachscapes will be the first! Register your interest now to receive 20% off the purchase price when it comes out (we’re hoping the first half of this year, and we’re hoping it will be around AUD$30). Type "RECIPE BOOK" in the comments section. 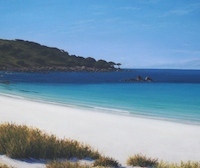 This month we’re focussed on artist Bernadette Dann from Perth, Australiaa, with her painting, “Tranquility 1”. Bernadette has done a great job representing this bloom opening up. Good work Bernadette! Read more about Bernadette's "Tranquility 1"
Click here to be amazed. The mpemba effect - we love a bit of science here at Explore HQ - know you will love it too, especially if you currently reside in a hot place (ie, us) and need it to feel colder!! 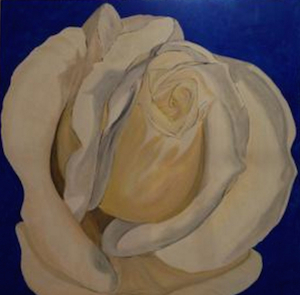 This painting comes from one of our Lennox Arts Collective members, the talented and colourful Christine Read! This happens to me all the time. 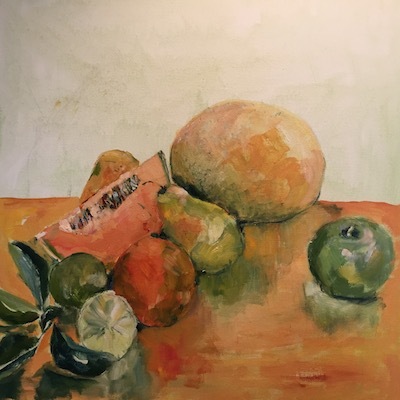 Sometimes I will rework a piece completely - painting over it and starting again almost from scratch - you paint over an acrylic painting with acrylic or oil paint, but you cannot paint over oil paint with acrylic. There are times that I really like part of a painting but it just doesn’t ‘work’. I will usually sit and look at it for a while and contemplate the problem and then take steps to correct it. 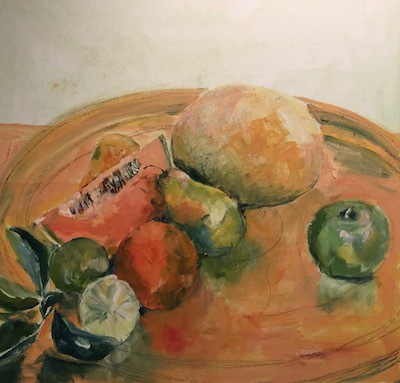 This process happened with an acrylic painting I did as a demonstration for a workshop I conducted entitled ‘Fruit and Flowers’. 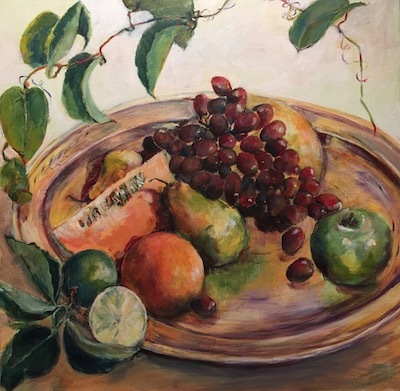 It started with a selection of fruit and I arrived at image no 1 (below), which really looked a bit odd on reflection with the fruit just sitting on a ledge, so I thought I would add in a platter - a large brass tray which sits in my studio - picture no 2 below. 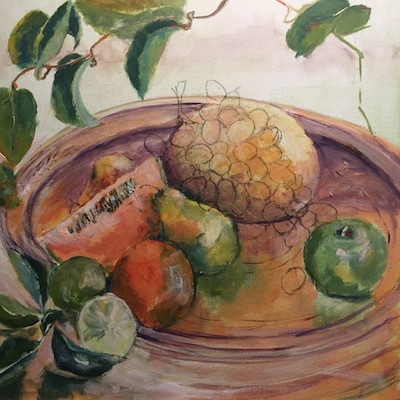 There was still too much empty space in the upper part of the painting, so a vine with an interesting leaf shape and curly tendrils were added - picture no 3 (below). Then it seemed like the uncut rockmelon in the background looked too much like an Emu’s egg, so I trotted down the road to buy some grapes and added them in in charcoal before underpainting them in picture 4. 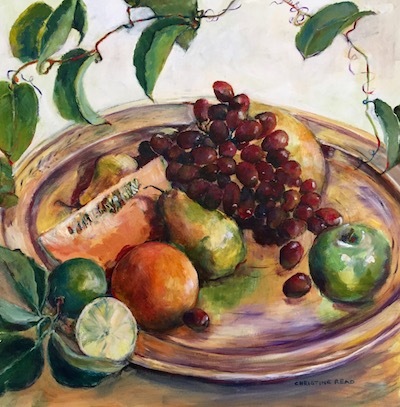 The next steps were to work on the grapes to give them a sense of ‘fruitfulness’ - I wanted them to look luscious and edible, so added in highlights with some bright red (naphthol crimson) as well as bright titanium white where the light struck the fruit and shading with dioxazine purple on the brass tray. Pictures 5 and 6 below. 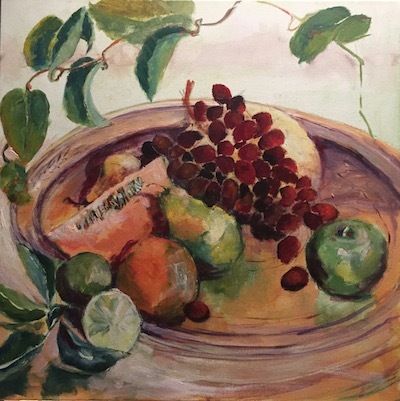 Finally I decided that another leaf and piece of vine was necessary to bring the viewer’s ‘eye’ back around and into the main subject matter, the fruit. I then added some more highlights onto the brass tray and decided to leave well alone!